People are the problem. They're always the problem. If a business person goes home frustrated, if they talk with their significant other about it, if they lay awake at night stewing about it, inevitably the problem is some person at work-a colleague, subordinate, or boss. Handling people issues is every leader's major headache. It's what takes up the majority of their time and-more important-the bulk of their head space. 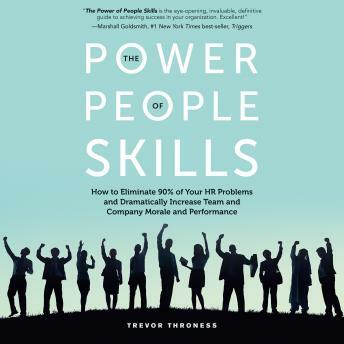 Every leader can and must develop this most important of all management skills.The Power of People Skills will teach you that there's one primary difference between a great culture and a poor one: a great culture insists on having star players in every key seat, and a poor culture tolerates under performers. In this powerful book, you will learn how to:Make the people decisions that can double your results, relieve your stress, and cause team morale to soar. Attract and retain the very best talent.Deal with difficult people problems in an objective and kind way.Overcome the reluctance we all share to confront under performers. Permanently solve the problems causing most of your stress.